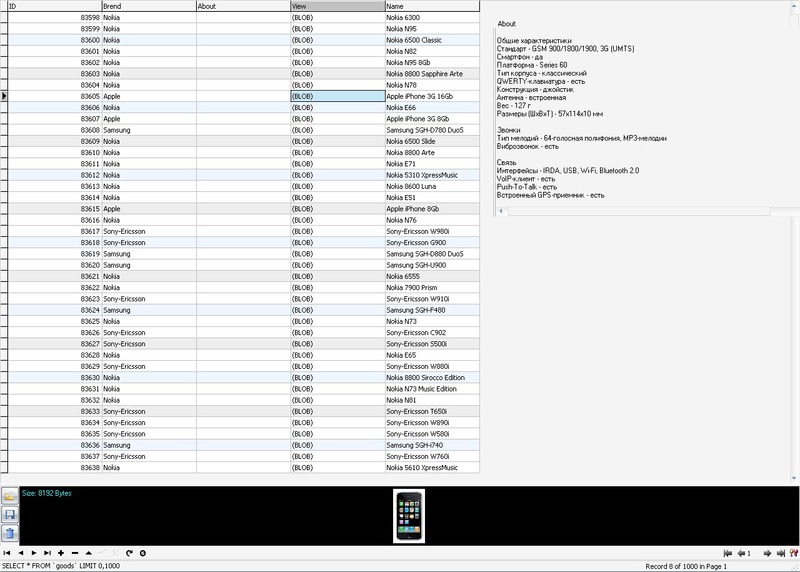 MySQL database dump specifications of mobile phones is a table describing the 1032 phones that contains a field with the name of the manufacturer, product name, detailed technical description of the characteristics and image products. The technical description is provided in the form of a convenient formatting (see. Fig.). Buying a product, you get a link to download the archive (4 MB) and password to this file. Inside archive - sql file in UTF-8. It is also possible to order the catalog specifications of different products in a single database with the directory structure and product groups. To do this, use the contact information.